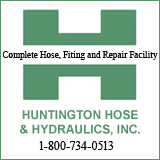 HUNTINGTON, WV (HNN) - Informed sources have confirmed to HNN that Special Metals will be reducing its staff by around 200 workers. The announcement was made Thursday morning to union members. Special Metals , formerly INCO, had in previous years announced temporary layoffs; however, sources tell HNN that these are reductions in force.